On Sunday, 26th October 2014, our student boarders of “Maria’s House-Education and Culture Campus” within their voluntarism initiatives engaged in reforestation activities at the area of the Byzantine Monastery of Nea Moni, in Chios. 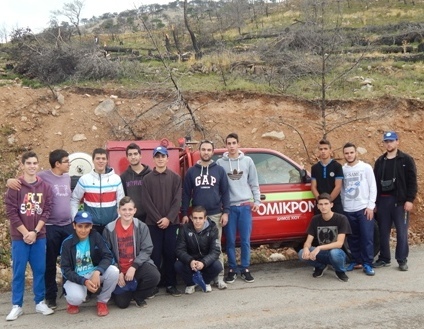 The reforestation was organized by the Chios Marine Club in cooperation with SKY CHANNEL, the Voluntary Action Group “OMIKRON”, the Merchant Marine Academy of Chios and many volunteering groups. Through this action, “Maria’s House” is sending a message of hope regarding the protection and the regeneration of forests. As part of their extracurricular education students also visited the Cave of Agio Galas, the Museum of the village of Nenitouria and the “ARIOUSIOS WINES” premises. 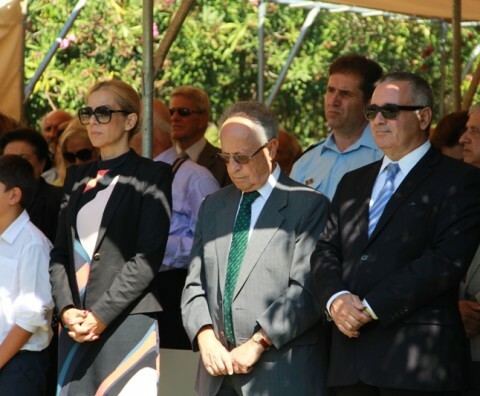 In a greatly emotional atmosphere, on Sunday 14th September 2014, on the Holy Cross Day celebration, the Metropolitan Bishop of Chios, Psara and Oinousses, His Holiness Markos blessed the Inauguration Ceremony of the Boarding School, with the presence of the Founders of the “Maria Tsakos Foundation – International Center of Maritime Research and Tradition”, Capt. Panagiotis N. Tsakos, Deputy Minister of Development and Competitiveness, Infrastructure, Transport and Networks, Mr. Notis Mytarakis, the Chairman of the Foundation and Secretary-General Emeritus of the International Maritime Organization Mr. Efthymios E. Mitropoulos, students from “Maria’s Home”, their parents, teachers from Kardamyla schools, local Authorities and 45 students and friends of the “Maria Tsakos” Foundation in Montevideo, Uruguay along with other Kardamylians. During the previous school year, “Maria’s Home” hosted nineteen children from Chios and other parts of Greece. This school year, the total number of students has increased to 21. The students were welcomed by the Chairman of the Board of Directors of the “Maria Tsakos” Foundation, Mr. Efthymios E. Mitropoulos and the General Manager, Mr. Stavros Michailidis. Praises of Excellency were awarded by the Chairman, Mr. Mitropoulos and Ms. Elizabeth N. Tsakos to Christos Ioannou, student of 2nd class of Lyceum, and Georgios Pantelis, student of 2nd Class of Secondary School, for their exceptional performance during the previous school year. The Boarding School of Kardamyla named as “Maria’s House – Center of Education and Culture” which was established by the “Maria Tsakos” Foundation at the premises of the memorable Maria Tsakos’ house in Kardamyla of Chios, is located at a superb area of six acres in the area of “Lousiani” in the traditional maritime village of Chios. The creation of the Boarding School reflects the vision of Capt. 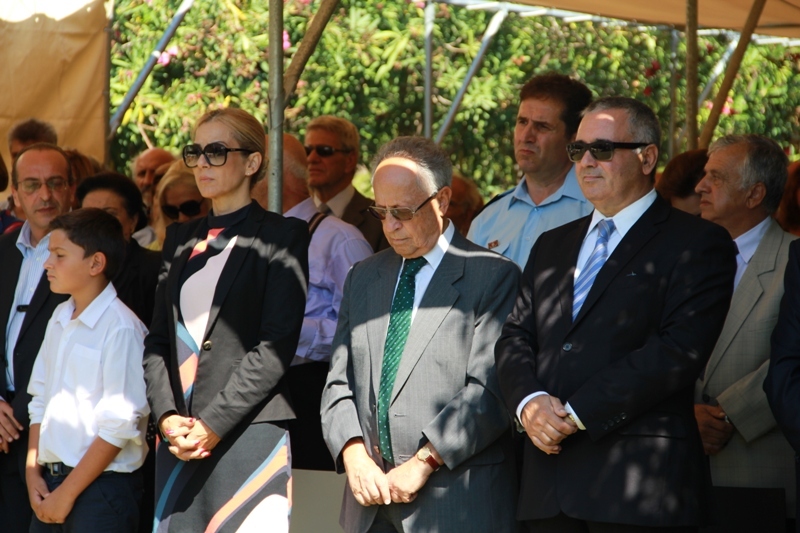 Tsakos’ family dedicating Maria’s estate in the village towards children’s happiness and further development. 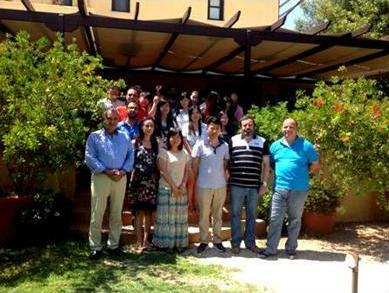 On 26-27th July 2014, the Foundation hosted at the premises of “Maria’s House” in Kardamyla, 27 Chinese students from the Shanghai Maritime University who were participating at the summer school STT Camp (Shipping, Transportation and Trade) Current Advances and Market Perspectives for World Shipping Leaders, organized by the Department of Shipping Trade and Transport of the University of the Aegean. A round table discussion on “Supply meeting demand: a review of trends in Chinese trades and trends in the Greek-owned fleet” was held. During their visit, the students had the opportunity to go sightseeing in the maritime village and learn about the shipping and seafaring tradition of Kardamyla and Chios, in general. Η Μαθητική Στέγη Καρδαμύλων «το Σπίτι της Μαρίας – Στέγη Παιδείας και Πολιτισμού» ανακοινώνει ότι θα δεχθεί αιτήσεις για τη φιλοξενία αρρένων μαθητών οι οποίοι θα φοιτήσουν κατά το σχολικό έτος 2014-15 στην Γ’ Γυμνασίου, Α’ και Β’ Λυκείου. Βασική προϋπόθεση το σχολικό έτος 2013-2014 η γενική βαθμολογία του μαθητή να είναι μεγαλύτερη του 16. Πιστό αντίγραφο τίτλου προόδου του μαθητή του σχολικού έτους 2013-14 με γενική βαθμολογία μεγαλύτερη του 16. Έκθεση αξιολόγησης των υποψήφιων μαθητών από το Κέντρο Παιδιού και Εφήβου Χίου* ή ισότιμο της περιοχής που κατοικεί ο μαθητής. Η έκθεση αξιολόγησης θα περιλαμβάνει και ψυχολογική εκτίμηση των μαθητών. Οι αιτήσεις συμμετοχής με τα επισυναπτόμενα δικαιολογητικά θα πρέπει να υποβληθούν με συστημένη επιστολή έως τις 25 Ιουλίου 2014 στα γραφεία του Ιδρύματος Μαρία Τσάκος – Διεθνές Κέντρο Ναυτικής Έρευνας και Παράδοσης Λιβανού Μ. 51, Χίος, 82100, Τ.Θ. 119. Μετά την εξέταση των αιτήσεων θα ακολουθήσει συνέντευξη των ενδιαφερόμενων μαθητών για την τελική επιλογή. *Σύμφωνα με υπόδειγμα που θα δοθεί από τη Στέγη. Τηλέφωνα Πληροφοριών: 22720 23750, 2271081970. 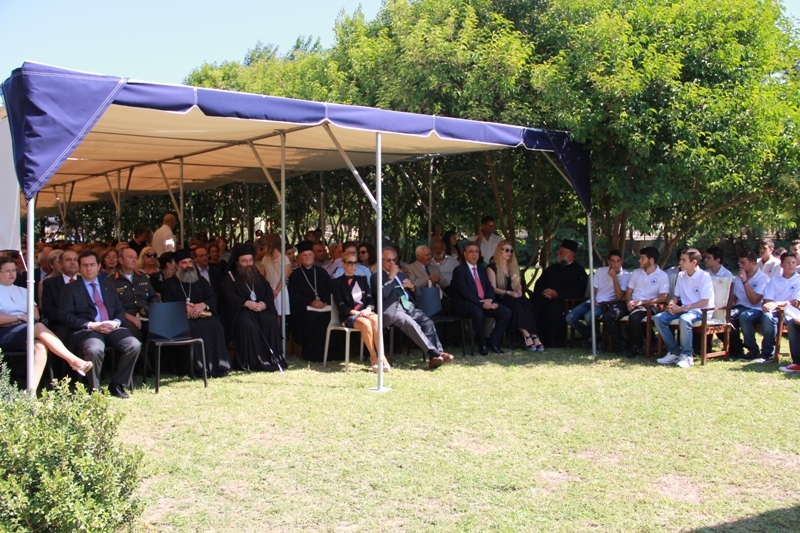 On Tuesday June 24th 2014, the closing ceremony for the school year 2013-2014 took place, at the premises of “Maria’s Home” in Kardamyla, in a warm and emotional atmosphere, in the presence of students from “Maria’s Home” and Kardamyla schools, their parents, teachers, local Authorities and Kardamylians. During this first year of its operation, “Maria’s Home” hosted nineteen children from Chios and other parts of Greece. Next year, it is estimated that the total number of students will increase to 22-25. The General Manager of the “Maria Tsakos” Foundation, Mr. Stavros Michailidis, the Manager of “Maria’s Home”, Mr. Manolis Koukoulis and the representative of the Advisory Committee, Mr. Pavlos Kalogerakis stated that the Foundation’s expectations and objectives regarding the students’ progress were fulfilled to a large extend, thus, establishing strong bases for “Maria’s Home” continuance. They also thanked the personnel as well as the Kardamylians for the warm hospitality that they offered to the students. Before the beginning of the event, the students welcomed the people by offering them origami creations. During the ceremony, the students presented their projects on Kardamyla, including photos from various activities, and they performed traditional dances along with the Kardamyla Local Dance Club. Award for Initiative and Collaboration was given to student George Sourris, for his willingness and collaborative work to matters regarding “Maria’s Home”. Award for Success in Sports Activities was given to student Christos Ioannou, for his continuous success in athletics. Award for Tidiness was given to students Constantinos Bollas and Stylianos Chronopoulos for their diligence and tidiness during the school year. 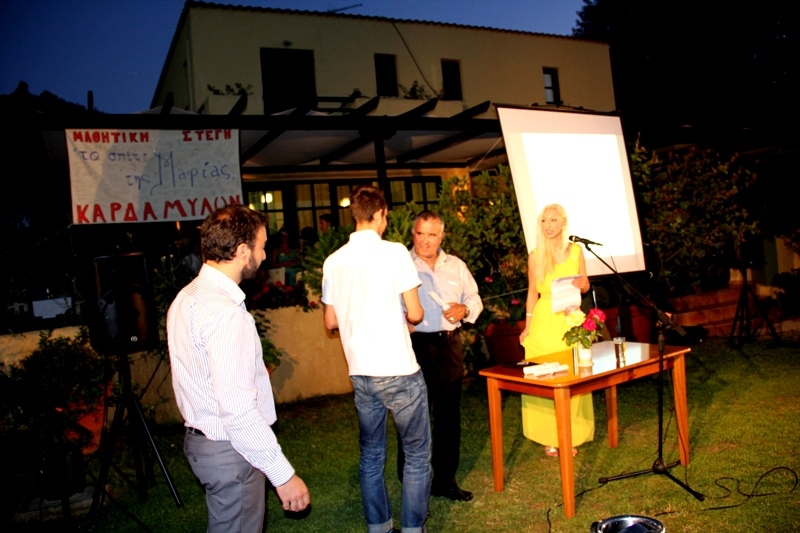 “Maria’s Home-Education and Culture Campus” is organizing today, Tuesday 24th June 2014 at 20:00hrs, a closing ceremony for the school year 2013-2014, which will take place at ”Maria’s Home” premises in Kardamyla. Under the initiative of the “Maria Tsakos” Foundation-International Center of Maritime Research and Tradition along with the support of Tsakos Shipping S.A., the Chian Voluntary Action Group “OMIKRON” and the Chios Lovers (Friends of Chios from 12 various countries), as well as with the guidance of the Chios Directory of Forestry and the “Chios Nature” organization, the creation of two new forest cores was realized with a total area of 9 acres, of which one is dedicated to the memory of the late Maria P. Tsakos. 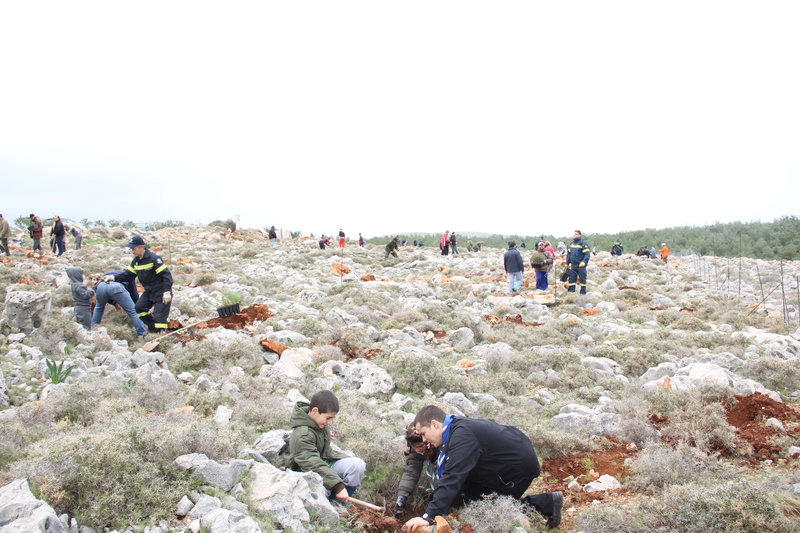 The reforestation took place on Sunday 9 February 2014, with over 120 volunteers participating in the event. Regardless the drizzle, 550 pine, cypress and pine cones seedlings were planted. In this call for action, a unique atmosphere was created during the event, especially by the active participation of the young students of “Maria’s House”-Center of Education and Culture. 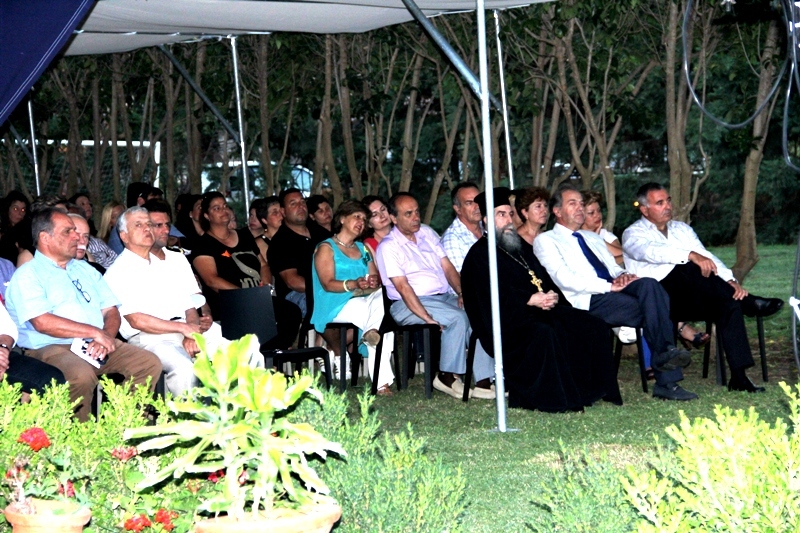 Attendees were representatives of the Maritime Academies of Chios and Oinousses, the Chian Yacht Club, the Kardamyla Port Station, the Kardamyla Fire Brigade Station and the Military Base as well as of the Armed Forces, the Metropolitan Church, the Kardamylian Society for Women, the Radio Amateur Association of Chios, Boy Scouts, local organizations, schools, seafarers’ families and a lot of Kardamylians. 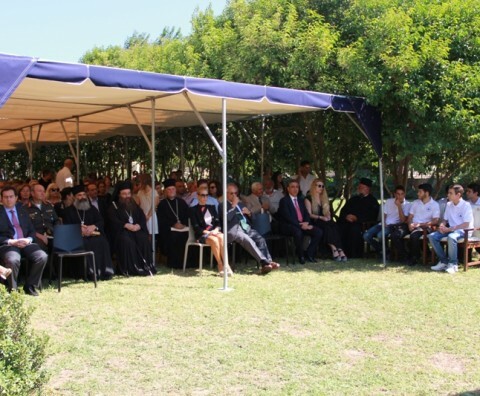 Within the framework of hosting children for the summer holidays, 123 children from the organizations the “Children’s Village SOS” from Vari, the “Child’s Smile” and the “Arc of the World”, were hosted last summer at the late Maria P. Tsakos’ house. This project was warmly embraced by local community, was graced with great success and offered a true fulfilment to all these who participated in it. This start led to serious thoughts on creating a permanent centre to provide the children and youths a permanent living base in the specific location, supported by educational experts. Scope will be giving these children the opportunity to advance and excel in their personal and professional lives. Such a project necessitates of a very detailed and careful analysis and design by experts in the field. For the implementation of the programme referred above, the Foundation is in close cooperation with local and other public and social bodies.